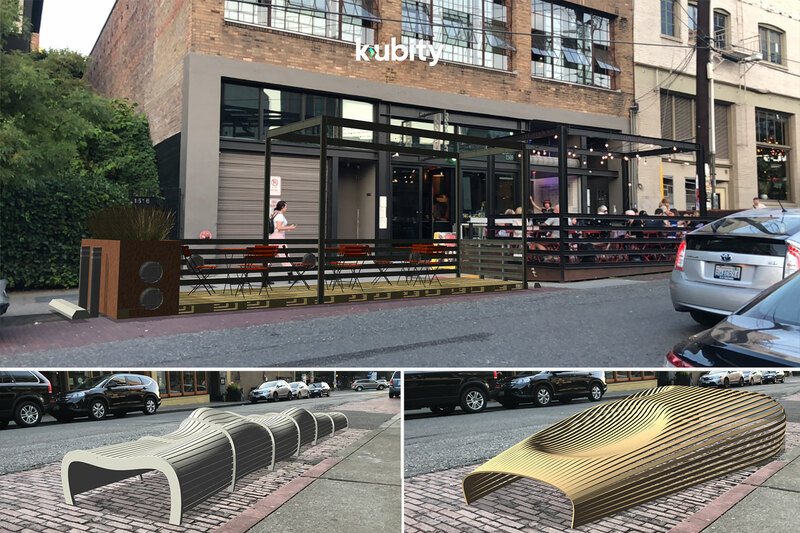 Technology is changing our way of design, with great potential to change how we as landscape architects and designers plan, design, collaborate, construct, and manage projects. 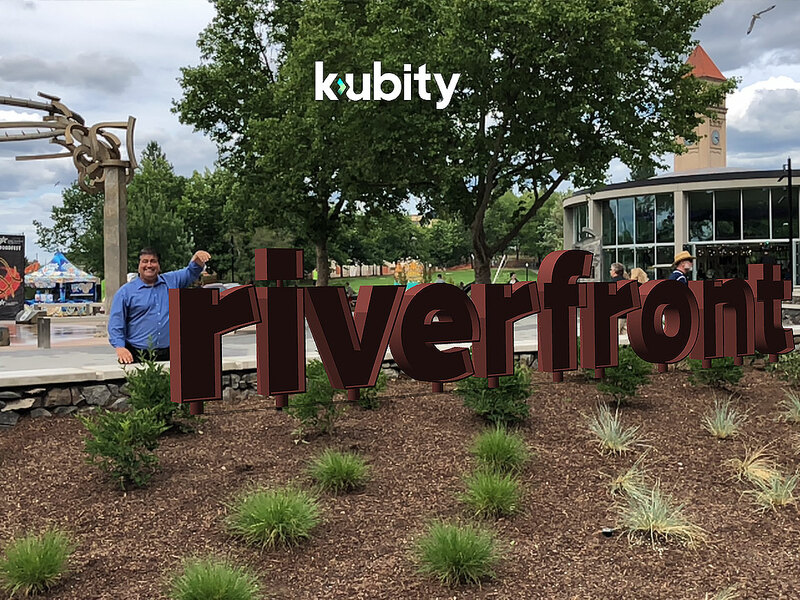 Stepping into the new frontier of learning, Question Reality is an exploration on a new trend of technologies in immersive media also known as XR (X-Reality, X as the variable) in landscape architecture projects. 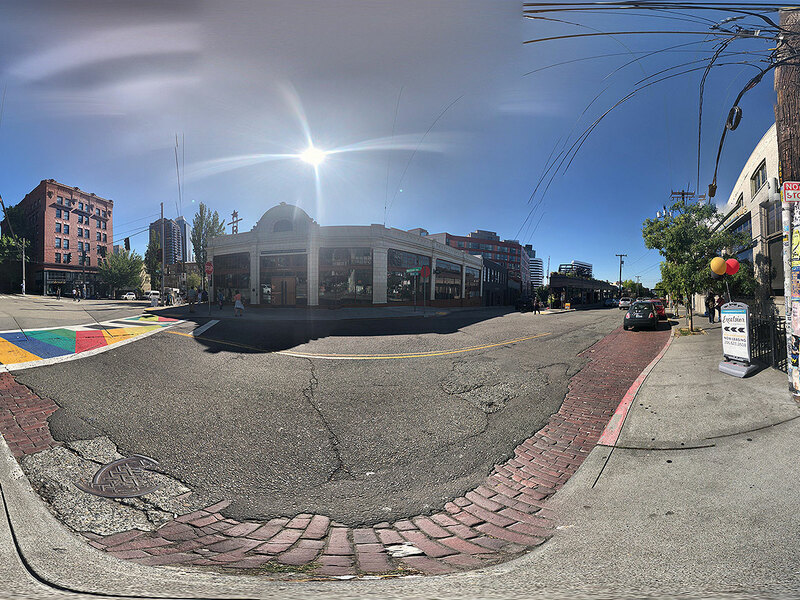 This year’s summer intern chose to research AR (Augmented Reality), VR (Virtual reality), and MR (Mixed Reality) and applied them to landscape projects using a variety of platforms and applications available while questioning the need of bringing digital objects into the physical world and vice versa in the landscape architecture field. Technology is changing our way of design. 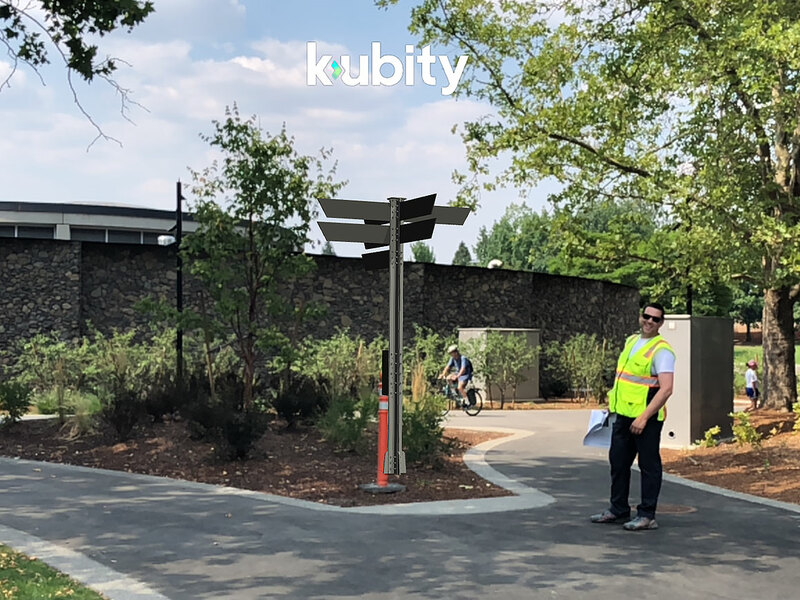 We believe XR has great potential to change how we as landscape architects and designers plan, design, collaborate, construct, and manage projects based on our exploration. 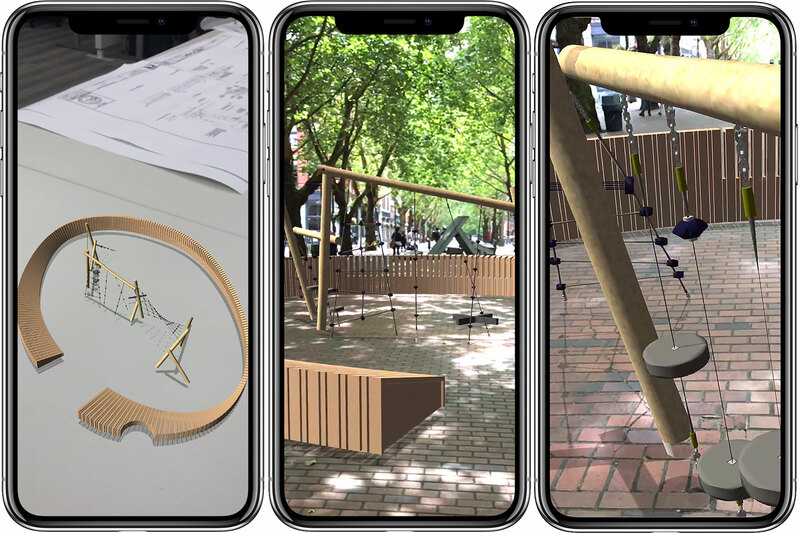 XR provides more possibilities, makes things easier in some ways, and helps clients to understand and engage in the design. 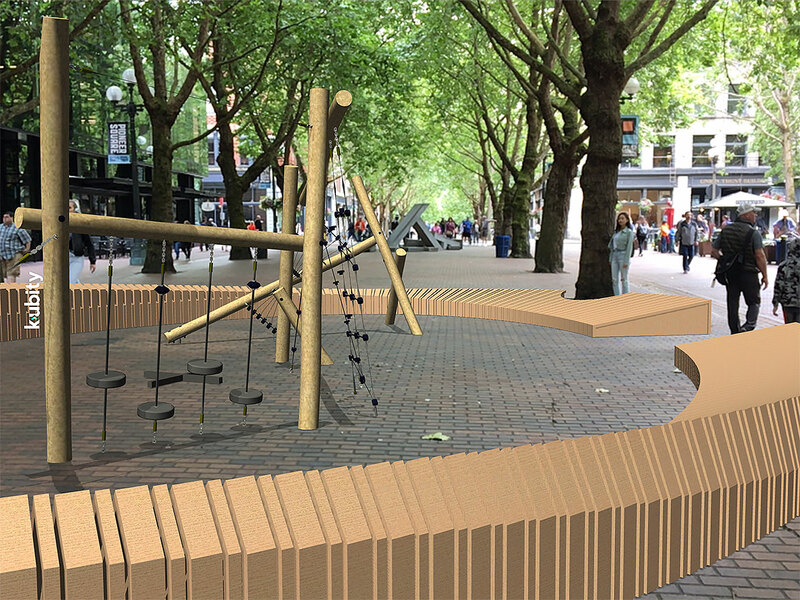 The technology is a good tool for designers to share their perception of space and sense of various materials and create a venue where people can interact with the landscape in a virtual way. 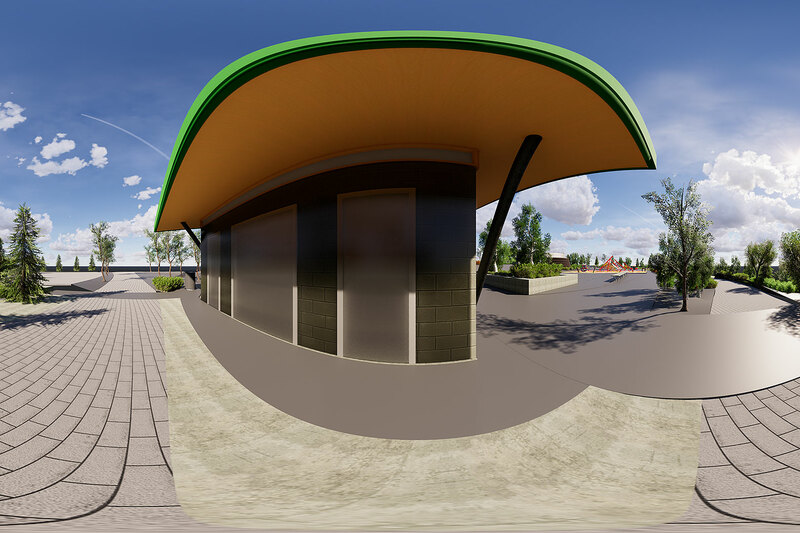 Virtual Reality (VR): Virtual reality allows for a completely computer-generated 360 virtual tour. 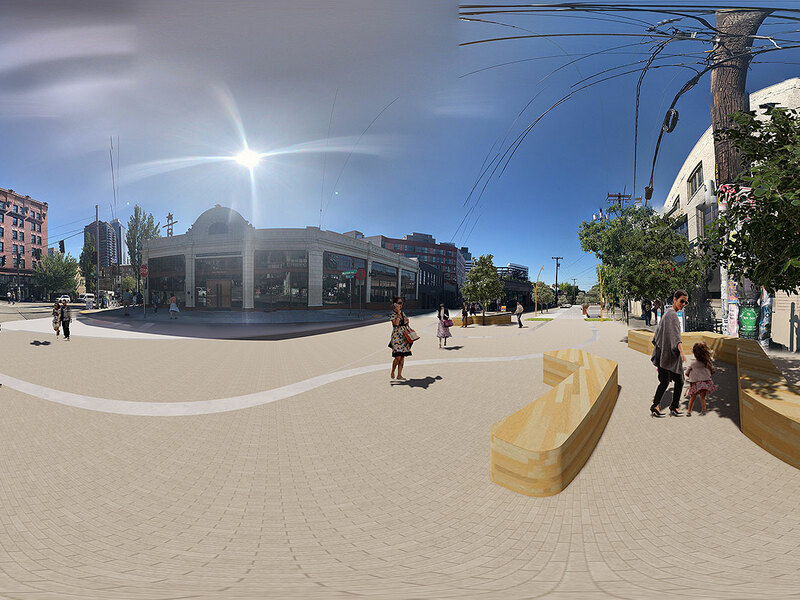 Augmented Reality (AR): AR brings computer-generated information to the real world, allowing a computer-generated 3-D model to be placed at the site in a 1:1 scale that casts a shadow and can be seen from different points of view and in context with the existing contents. Mixed Reality (MR): Mixed reality uses multiple XR platforms. 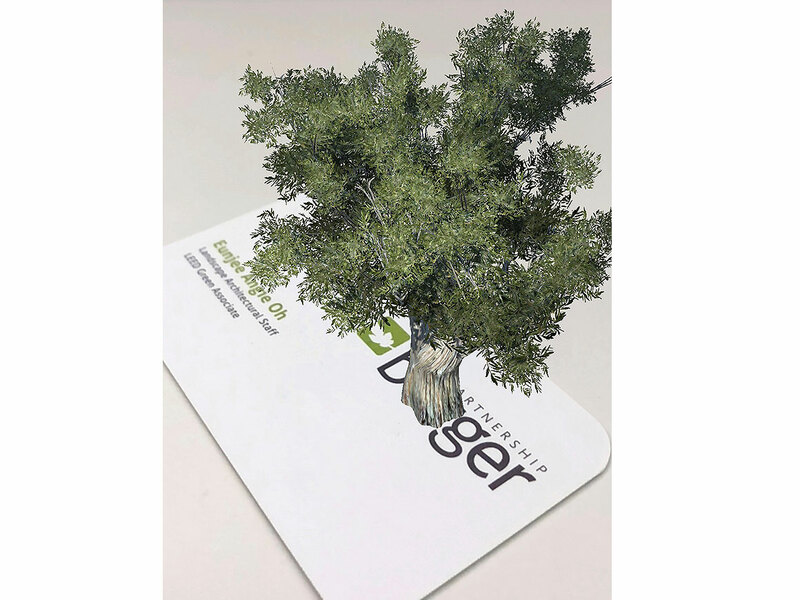 Augmented Reality (AR), with marker: Using Unity and vuforia, a maple tree pops up when an app recognizes our Berger logo. 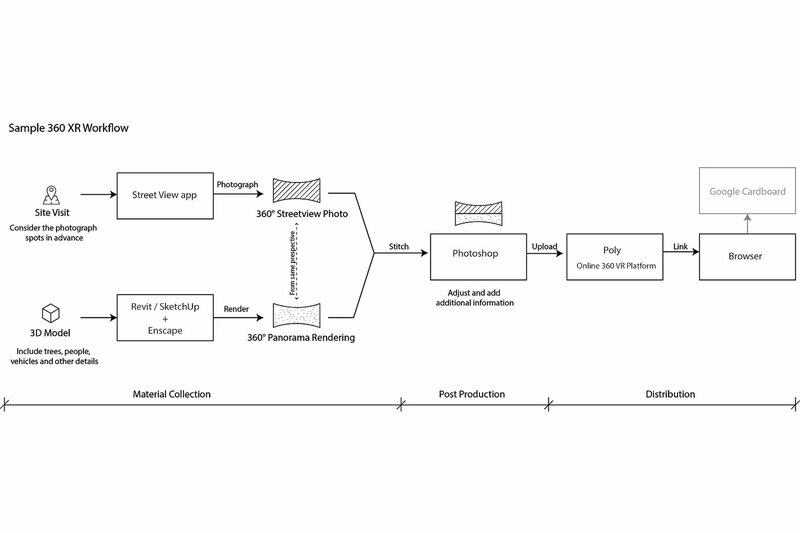 Design can be shown to a client in smaller scale. 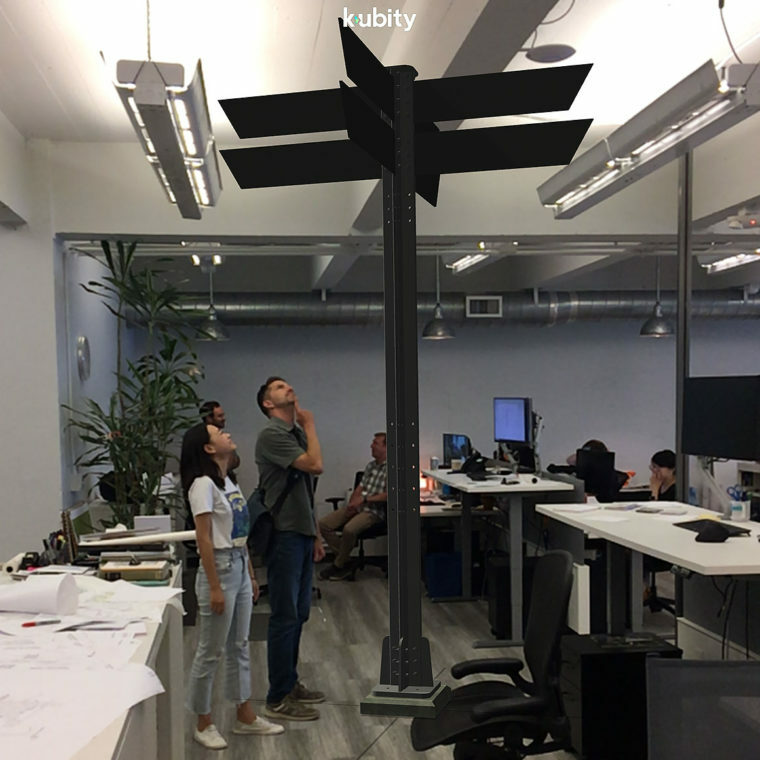 AR, without marker: Using Kubity, a 3-D computer-generated model can be placed at the real site at 1:1 scale, casting a shadow, and can be seen from different points of view with existing surroundings. 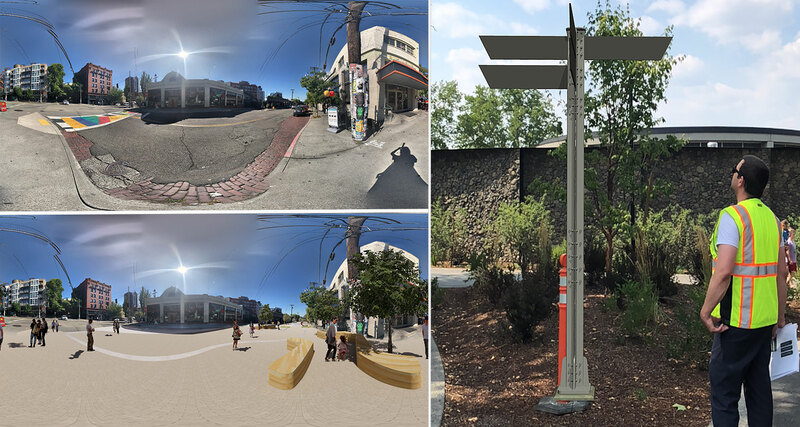 Mixed Reality (MR): Using mixed reality, we studied the existing Melrose Promenade site and how it would look with the proposed improvements, resulting in a helpful tool that could be shared. 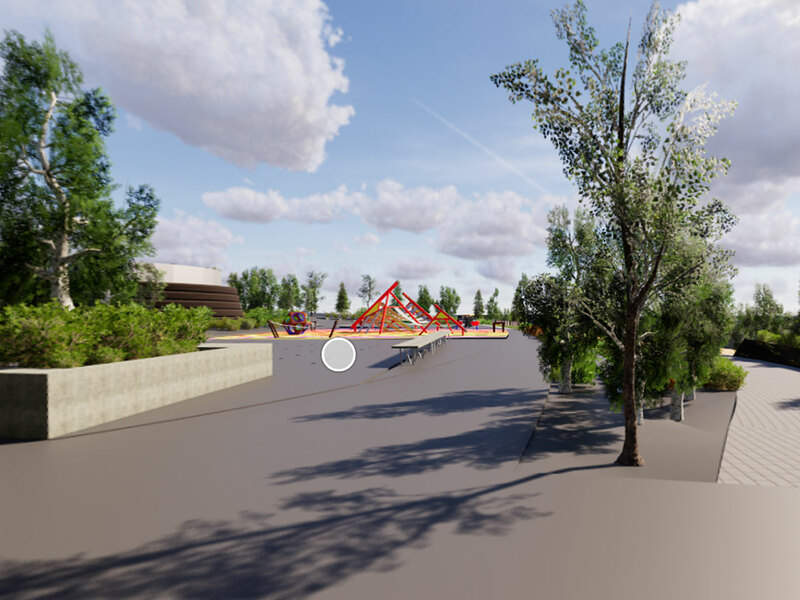 Virtual Reality VR: Totem Lake Park: Virtual reality was used for a public meeting at the site with a portable VR headset.